In our opinion, the FCC’s move to kill net neutrality and place control over traffic in the hands of ISPs yields far-reaching negative impact on investors, both institutional and private. The greatest disadvantages fall to those hundreds of millions of citizens who hold retirement accounts and who, with professional advisors, rely on diverse information sources to make wise choices. This regulatory rollback, yields far-reaching negative impact on investors, both institutional and private. The greatest disadvantages fall to those hundreds of millions of citizens who hold retirement accounts and who, with professional advisors, rely on diverse information sources to make wise choices. Unmitigated conflicts of interest possessed by the ISP beneficiaries such as ATT & Verizon aside, our firm views this deregulation as excessively risky. Once in possession of control of traffic and able to levy fees for “premium” services, ISPs will not stop there. They will doubtless turn for revenue from others willing to “rent” greater access — like storefronts — to garner public attention. Consequently, we believe market demands will centralize access and information flow in favor of those parties who can best afford it. Investment Institutions, Banks, and other Private or Public entities cab and will pay for and gain larger footprints in the public domain. Those voices with smaller budgets will be drowned out. This outcome can rapidly staunch competition, not increase it. It can also lead to an even more monolithic approach to discussion of investment topics and choices, which is already a serious problem that hurts investors. Messaging about investing deserves and demands free and diverse expression of opinion. Negatively affecting investors, loss of Net Neutrality will staunch this essential free flow of information. The proposed deregulation threatens the very freedom of speech that investors and professionals serving them require. This proposal’s untested and restrictive communication dynamic will negatively affect markets and investor outcomes. 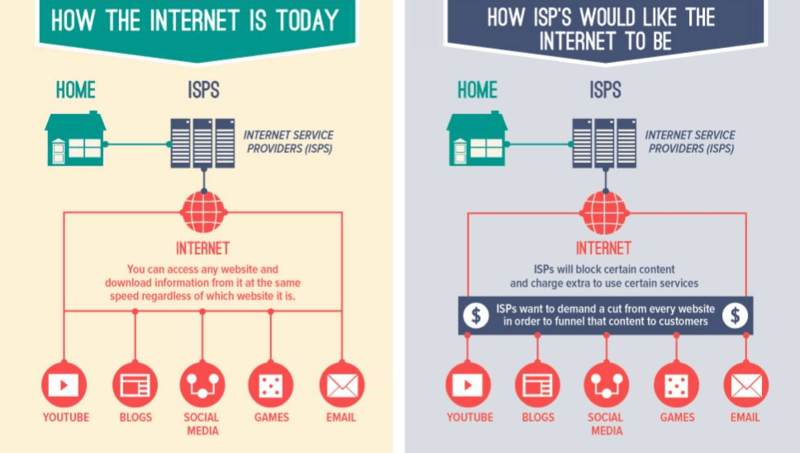 Hence, Chairman Pai’s claim that this proposal will “Restore internet freedom” (source: http://bit.ly/2Bi3upy) is long on risk and short on comprehensive benefits. As CEO and Chief Investment Officer of MoneyGrow.com® a brand of Chartered Financial Services, Inc., a Registered Investment Advisor, I regard Chairman Pai’s deregulation of Net Neutrality Rules exemplary of misguided policy. Yes, I would also like to receive occasional newsletters from MoneyGrow.com. I realize I can unsubscribe anytime.